Svenska Spel and the Swedish Ice Hockey Association have extended their cooperation until 2025, with an option of further two years. 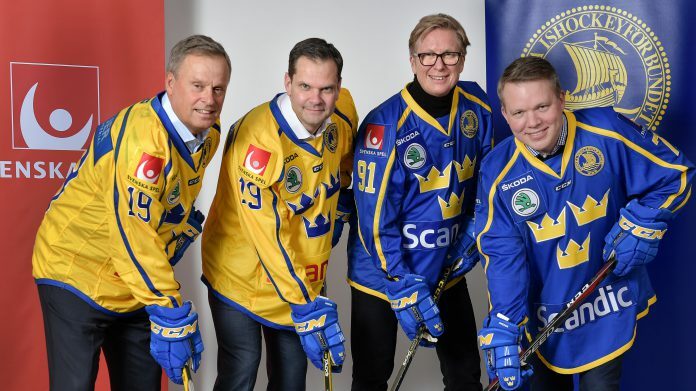 The Swedish gambling operators has enjoyed main sponsorship for in excess of 20 years, with the collaboration including the Hockey Academy, which is the country’s development programme up to the junior National Teams. Patrik, CEO of Svenska Spel, praised the extension of the agreement, said: “Svenska Spel and the Swedish Ice Hockey Association has a long and successful history together. Through the extension of agreement, we can continue to create the right conditions for Swedish Hockey to continue their fine development. Adding:” Ice Hockey is one of the most popular sports and every year our national team stands for fantastic action. The Collaboration enables us to participate in the development of Swedish Ice Hockey all the way, from the very smallest in hockey school, to our popular national team on the women’s and men’s side. Tommy Boustedt, secretary general of Ice Hockey Association, said: “We are pleased that our long term cooperation with Svenska Spel continues. Svenska Spel also cares for the sport and conducts its business with a high degree of gaming responsibility.